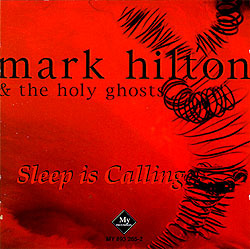 Mark Hilton is a singer / songwriter / guitarist from Melbourne, Australia. His Beauty and Innocence is a varied, accomplished and witty album, with some great grown-up pop-songs (notably the title-track) and fantastic guitaring and violining, entirely worthy of our attention irrespective of the many contributions made to it by Procoler Chris Copping. Various whimsies in the small print - 'Distributed in Australia by Foot and Mouth, distributed trans-globally by Osmosis' - suggested that a lively, even eccentric intelligence lay behind it all ... the rim of this CD reads 'Burn a copy for your friends and you're not the kind of friend anyone needs. When you hear that I've sold a million of these suckers, go right ahead : nobody needs that much money, honey.' (Its predecessor claims 'The people who made this recording are useless in all other walks of life. Keep them out of the work force by purchasing this product. Remember, if it fails to satisfy your ears, it can double as a beer coaster or a cheese-cutter. For attention seekers into body-piercing, may we suggest -- a delightful lip-disc' and - despite the excellent sound - it's labelled 'Subsonic 2-Bit In-Fidelity'. 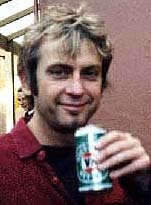 Chris's presence on the album is, however, the reason that BtP got hold of it ... and it was fascinating to discover that - though Hilton's lyrical and compositional styles are far removed from those of Brooker and Reid - Copping was not hired as a mere sideman, but was evidently given free rein to play in a Procolian fashion (check out the organ solo on the penultimate track - MP3 here by permission!). I've been a Procol Harum fan for years. I loved Bach organ works from a young age, and in my 20s, while in London, made a point of going to the Royal Festival Hall and seeing the guy who built the organ there actually play Bach on it. Earlier on, after the John Mayall with Eric Clapton thing, Super Session, Zeppelin etc., I became infatuated with the Les Paul guitar and got one. Then the Hammond in Traffic got me goin'. Then you get this band (PH) with a guy playing wailing blues solos on a Les Paul, over screaming celestial Hammond with vocal melodies and arrangements far more adventurous than your average pop song. I played the Home album all day long for months on end and got to know the sleeve art and photos back to front. Fast forward to the mid eighties, and I'm playing Les Paul and (cough cough) keyboards in a band (The Naturals) signed to Mushroom Records in Australia. Peter Blyton, who produced our early demos, was playing bass in the Huxton Creepers and told me that Chris Copping was on Hammond. For various reasons I didn't get to see him at that stage, but had it in the back of my mind that I'd love to hook up with him sometime. A couple of years ago, as I was putting my solo album together and thinking that some Chris Hammond would really be the icing on the cake. I looked him up in the Yellow pages, and discovered he lived only a few blocks away. Then another friend of mine, Ant, mentioned that he'd been doing some work with Chris. I gave Chris a call, and asked if he'd be interested in having a listen to my half finished album, which he did. Chris offered to play on it, so I took my recorder over to his place and he put down the honky-tonk piano in Fly, electric piano in Nightcap, and piano in Dumb Love. He showed me his extensive music collection and it became apparent that we had a lot in common. I mumble something about John Barleycorn Must Die being one of my all-time favourite albums - his eyes light up and he knocks out a few bars of Stranger to Himself - that sort of thing. I met his warm and supportive wife Vicki, we had fish and chips, and Chris let me know in no uncertain terms that Australians didn't really make anything worthy of being called 'Beer'. Chris is generous, affable and charmingly eccentric. It had been ages since I'd met anyone who was so in love with music, so I was chuffed. At that stage I only had guide drum programs, so I went away and recorded Michael Davis doing real drums. I went back to Chris's and we put down the grand piano on Hesitate and Dog's in the Bin. Then Chris and I went to Fortissimo Studios in South Melbourne, where Chris's Hammond was set up, and tracked Dumb Love, Hesitate and Dog's in the Bin, with a minimum of fuss. After the album was pressed, I asked Chris if he was up for a play at the launch [23 August 2000] and once again he came to the fore. 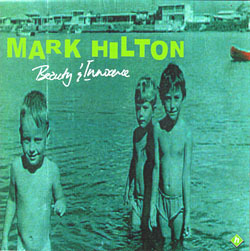 The line-up was large, due to the fact that the instrumentation was varied, being a solo album with guests. The venue I chose was becoming popular for launches, but I didn't realize what we were in for. It's primarily set up for playing pool and listening to techno downstairs, and where we played is a great space, but the only power on stage runs a few lights. On top of that, a theatre group was rehearsing an audio visual event in darkness up 'till 7.30pm, and the doors were supposed to open at 8.30pm! We were also hoping to slip in a quick rehearsal - in our dreams. With eight band members screaming out for power, me trying to set up, change strings, decorate the venue, organize dinner, rehearse the band and write set lists, I thought "feels just like the old days". After deft application of extension leads and domestic power boards to the lighting rig, the entire light show consisted of a single reading lamp we borrowed from the groovy retro bar downstairs. During the support act, Chris wandered off to get some decent English beer at another pub, and by the time he returned, the room was filling up and there was a vibe. So as is usual, everyone pulled out all the stops, Chris played a solo in Dog's in the Bin that I'm sure gave the entire room goosebumps, and it all went off swimmingly, with the whole band jamming out on the last song of the night, aptly titled, It All Makes Sense When You're Pissed. I could rave on forever, but I'm sure there's more than enough for you to attack with the editing scissors. Having listened also to his previous album (see left), BtP mentioned the great diversity of sound-worlds to Mark, suggesting that some of his work sounded like Tom Waits singing Crowded House, and wondering what he considered his influences to be. Back came this comprehensive and gratifying list from past and present. Beatles, Stones, Janis Joplin, John Mayall, Hendrix, Cream, Jethro Tull, Procol Harum, Traffic, Yes, Mahavishnu Orchestra, Sonny Terry & Brownie McGhee, Canned Heat, Ravi Shankar, Charlie Byrd, Oscar Peterson, Dudley Moore Trio, Harry Belafonte, Joan Baez, Johnny Cash, Tammy Wynette, Glen Campbell, Segovia, Bream, John Williams, Bach, Beethoven, Tchaikovsky, Johnny Winter, Steve Miller, Steppenwolf, Lou Reed, Donovan, Zeppelin, Stevie Wonder, Joni Mitchell, etc. Bach, Beatles, Miles Davis, Hendrix, Peter Green, Jeff Beck, John Mayall, Procol Harum, Neil Finn, Nick Drake, Iggy Pop, Beach Boys, Lou Reed, Donovan, Roxy Music, Stan Ridgway, Joe Jackson, Peter Gabriel, John Lennon, Brian Eno, Ry Cooder, Nusrat Fateh Ali Khan, Tom Waits, Bob Dylan. Radiohead, Beck, Supergrass, Steve Earle, Emmylou Harris, Bud Powell, Kenny Burrell, Smashing Pumpkins, Junior Brown, Dr. John, Morcheeba, Pernice Brothers, The Who Live at Leeds, Gillian Welch.